Time Out is a discipline technique that takes children away from the activities which are causing conflict and gives them the time and space that they may need to calm down and think of better behavioural options. Many parents prefer to put children in Time Out in a particular location such as on a Naughty Step, but this is not totally necessary. Parents with questions regarding Time Out should read on for answers to some frequently asked questions about Time Out. What is a Time Out? Time Out is a discipline technique in which a child is led away from “the scene of the crime” and asked to sit quietly and alone for a given period of time. Usually a child is placed in a Time Out in a different room from where (s)he was misbehaving. Closets, rooms without lights, garages, attics and basements should not be used for Time Outs. How Long Should Time Outs Last? As a general rule of thumb, a Time Out should last for the same number of minutes as the child’s age (eight year olds should stay for eight minutes, ten year olds for ten, etc.). However, many children remain angry or distracted for the first several minutes of a Time Out, so parents should inform them that their Time Out does not start until they can sit quietly. Parents do not need to tell their children how long a Time Out will last, though they should tell children that they must remain in Time Out until they return to speak with them again. Can Time Outs be used on Children of All Ages? Time Outs only work for children who understand that they should use their quiet time to reflect on their behaviour. Generally this means that children between the ages of three and ten years respond best to Time Outs. Some parents do find that short Time Outs also work with children as young as two years of age, but this will depend upon the specific child. Should Parents be Present during Time Outs? Parents should supervise Time Outs in order to ensure that their child is safe, but the point of a Time Out is to remove attention from the child and allow him/her the time to think through their misbehaviour. For this reason, even if parents remain in the same room as a child during a Time Out they should ignore the child for the duration. How Should Time Outs End? 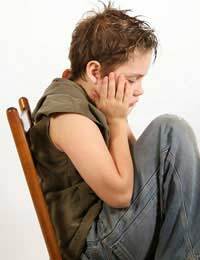 When the child has sat quietly for as long as the parent deemed necessary, the parent should return to the child and tell him/her that their Time Out is over. Parents should use this time to speak with their child about why they were put in Time Out and how they could avoid these behaviours in the future. Parents should also prompt their child to apologise for his/her misbehaviour. Time Out is a popular discipline technique with modern parents. A Time Out allows a child to get away from the causes of his/her misbehaviour and calm down away from prying eyes. Time Out also allows children the time to think over their misbehaviour and work through more appropriate options. Parents who use this technique should remind all other caregivers and babysitters of its benefits as well. I think time outs are a good method to give a child time to cool down and reflect on what happened. It also gives the parents time to relax as well so then the parent is not acting out of anger. I have used the method of using the childs age as a method of timing the time out and then go back and talk to the child about what actions resulted in them being in a time out.